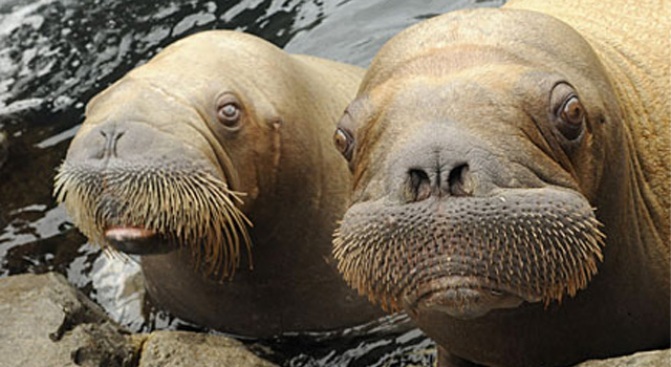 Walruses at the NY Aquarium in Coney Island: Whiskerlicious. On Fridays beginning at 3PM, admission to the New York Aquarium is pay-what-you-wish. Now, every dollar you give goes to supporting the animals, so don't cheap out -- but if you've been meaning to take your whole family, now's the time. Get there by 3:30 and you'll even catch the sea otter feeding. What's more fun than watching them whack clams against their chests while floating on their back? Not much. Suggested donation is $13 for adults, $9 for children, and $10 for seniors. More information on exhibits and events at the New York Aquarium website.